Chicken Scratch Poultry - Blue Laced Red WyandotteBeautiful Pink Eggs!Jerry Foley Line Our Blue Laced Red Wyandotte are a beautiful large bird that lays a light pink egg. They are very docile, curious and kid friendly. If you like big butts on your poultry, this is the bird for you. The Blue Laced Red Wyandotte looks as though it's wearing a pretty red lacy dress with a blue petti coat and not just any old blue, it's pigeon blue! Our Wyandottes are producing amazing lacing of the feathers, two years of hard work with our Wyandottes has made an amzing difference!! When you order our Blue Laced Red Wyandotte chicks, you should know that you will be getting a beautiful mix of color not just blue. You will get splash laced, Blue laced and Black laced. You need all of these colors in your flock in order to throw good color. It takes a Blue Laced Red Wyandotte a good 18 months to fully color out. 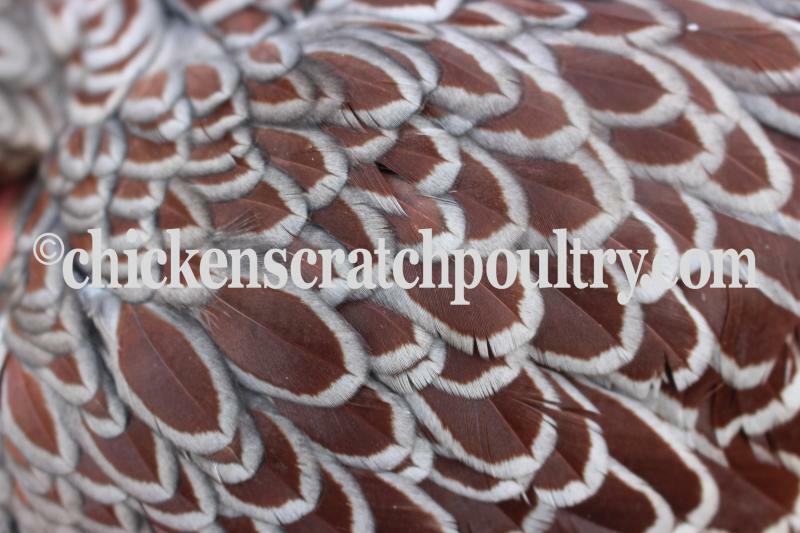 Our Blue Laced Red Wyandotte are a beautiful large bird that lays a light pink egg. They are very docile, curious and kid friendly. If you like big butts on your poultry, this is the bird for you. The Blue Laced Red Wyandotte looks as though it's wearing a pretty red lacy dress with a blue petti coat and not just any old blue, it's pigeon blue! Our Wyandottes are producing amazing lacing of the feathers, two years of hard work with our Wyandottes has made an amzing difference!! When you order our Blue Laced Red Wyandotte chicks, you should know that you will be getting a beautiful mix of color not just blue. You will get splash laced, Blue laced and Black laced. You need all of these colors in your flock in order to throw good color. It takes a Blue Laced Red Wyandotte a good 18 months to fully color out. To place a hatching egg or started pullet order, go to the "Contact Us" page and leave a message. 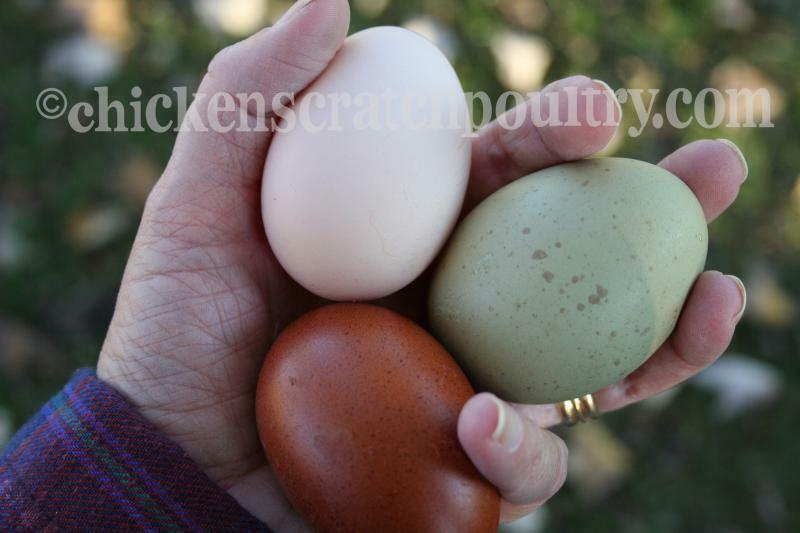 ﻿﻿The pink egg is A Blue Laced Red Wyandotte egg. Chicken leg band bling! 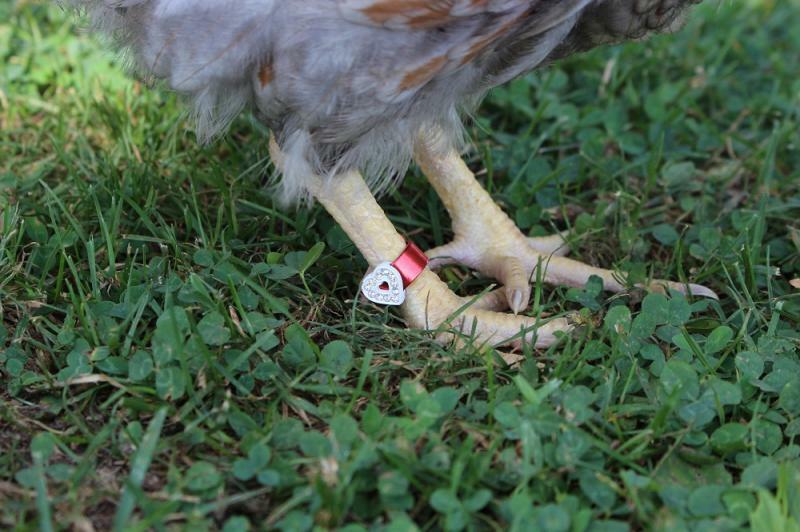 Identify your poultry with a pretty rinestone band. Head over to the farm store or contact me to place an order. Just $2.50 per band. Our nephew with his blue ribbon winning hen, this Blue Laced Red Wyandotte hen was shipped to Fairbanks, Alaska and took the blue ribbon at the state fair.